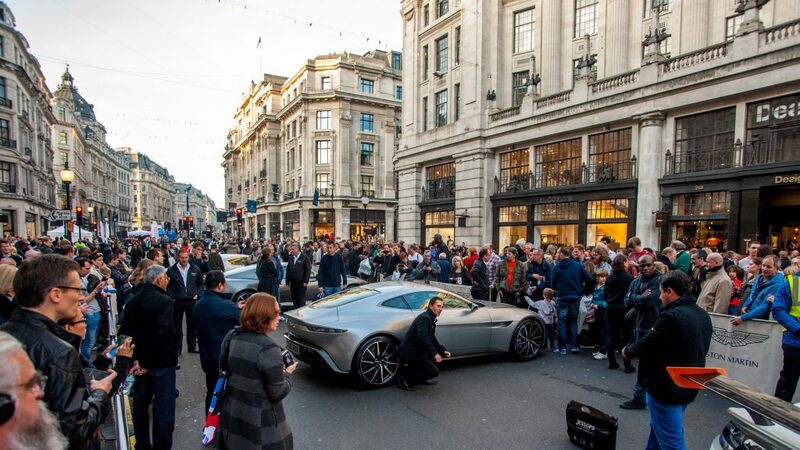 Supercars are not uncommon in Central London but, even by the capital’s lofty standards, last Saturday’s Regent Street Motor Show (Saturday 31 October) was very, very special. The city’s world famous West End shopping street was closed for a very special ‘mile of automotive style’ stretching between Piccadilly and Oxford Circuses as the UK’s largest free-to-view motor show showcased a glittering display of more than 200 cars from past, present and future generations. Savouring the unseasonably warm weather, hundreds of thousands of enthusiasts, shoppers, London residents and even rugby followers bound for the World Cup Fanzone in near-by Trafalgar Square all relished a huge variety of eye-catching machinery. This year’s Show embraced everything from motoring’s early pioneers to the latest plug-in hybrids with the futuristic Aston Martin DB10 from the new James Bond film Spectre drawing huge crowds. Representing the dawn of motoring, and right at the heart of the display, was a remarkable collection of 100 pre-1905 machines. As a curtain raiser to Sunday’s running of the annual Bonhams London to Brighton Veteran Car Run, these were partaking in the prestigious EFG International Concours d’Elegance. This year’s star-studded judging panel included multiple-title winning F1 team principal Ross Brawn and TV personality Edd China. The remarkable 1901 De Dion Bouton Vis- à-Vis owned by Mr and Mrs Gigi Baulino was awarded with the overall prize. The outstandingly original machine has been in storage in Italy for nearly a century and is making its VCR debut this year. There was the chance for those present – as well as further afield – to vote online for their own favourite – the Spectators Special Award, sponsored by Renault going to the gleaming 1903 Mors of Mr Bernard Holmes. 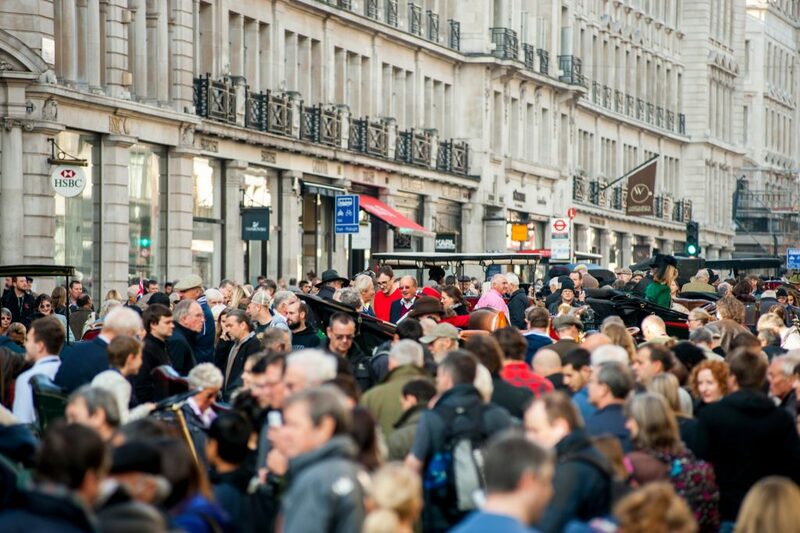 Further north on the packed street and close to Oxford Circus, the focus was very much on motoring today. A team of four technicians from Caterham created a brand new Seven sports car from a pile of parts and amazingly drove the car off the stand at the end of the show. Close by was a special Race Of Champions display promoting the end of season motor sport spectacle, which is back in the UK at the former Olympic Stadium, Stratford on the 20-21 November. The Go Ultra Low campaign together with Transport for London (TfL)were also busy, with a huge line-up of the latest plug-in and fuel cell vehicles including several zero-emission electric and hydrogen cars. Of particular note was the first UK public viewing for the new Mitsubishi Outlander PHEV and Toyota’s new hydrogen-powered Mirai. Visitors were also given a great opportunity to test-drive some of these increasing popular cars on a near-by street. Adding to the entertainment the West End Kids street theatre troop performed some truly scrumptious songs from Chitty Chitty Bang Bang while motorcycle stunt rider Steve ‘Showtime’ Colley wowed the crowds with his gravity defying displays. Both the Top Gear Experience and McLaren Honda F1 Experience simulators were also busy all day. The classic buses due to be driven by Radio 2 DJs Chris Evans and Ken Bruce in the Bonhams London to Brighton Veteran Car Run were on display, too, fresh from their appearance on the previous evening’s One Show. 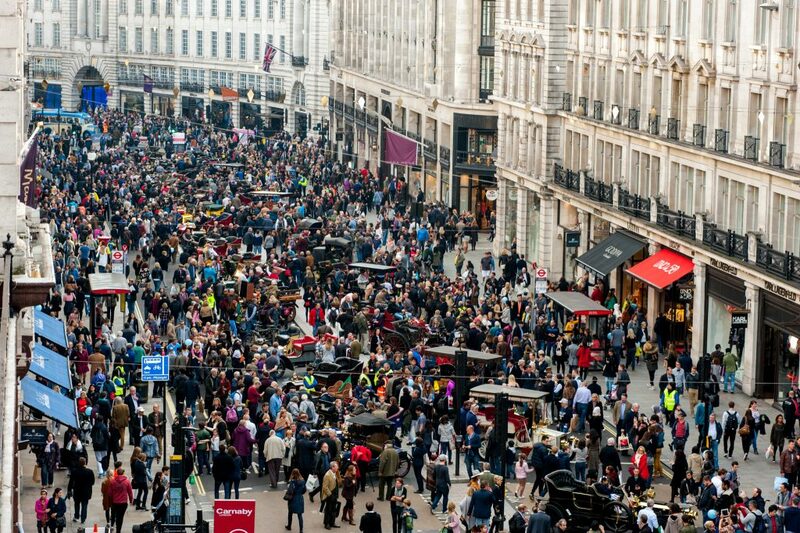 “Every year the Regent Street Motor Show just gets even bigger and even better,” enthused Ben Cussons, Chairman of the Royal Automobile Club’s Steering Group for the Veteran Car Run. “It was fantastic to see so many people out in the sunshine enjoying such a wonderful display of amazing cars in such a fabulous setting. 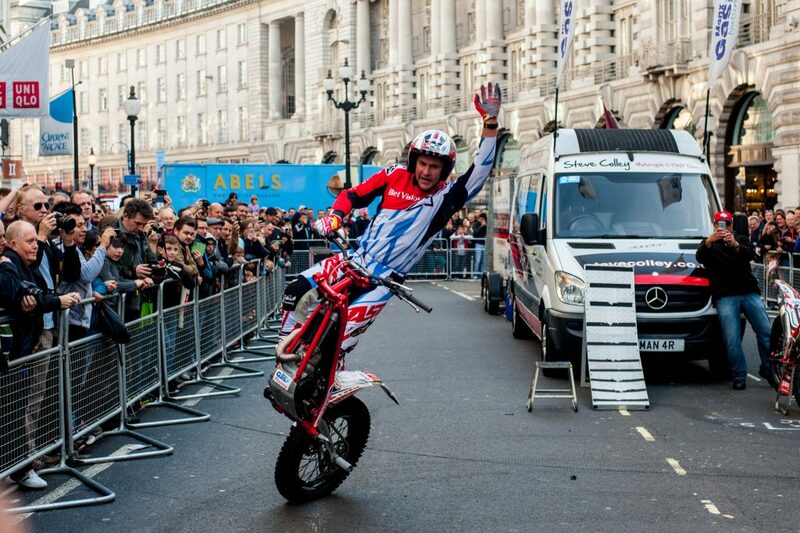 The event regularly attracts 400,000 and this year it seemed even busier than ever before.